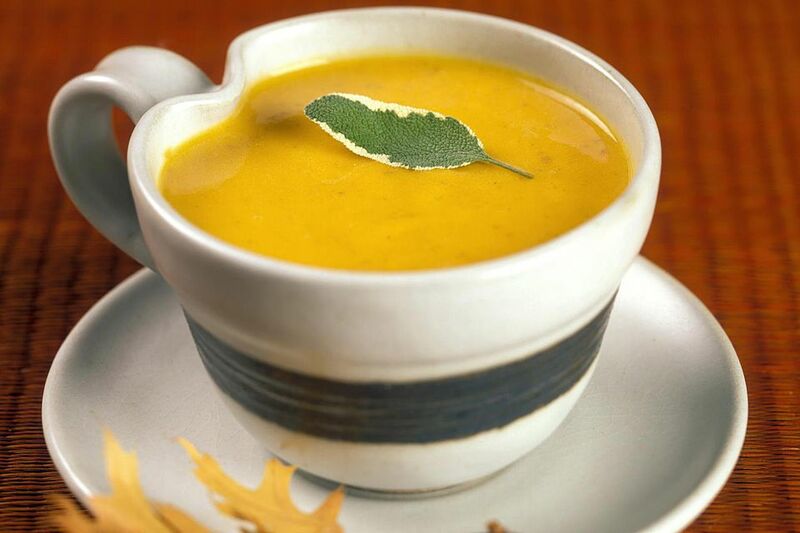 This rich and delicious soup is perfect for any holiday table. This easy version skips the messy, and time-consuming chore of cooking and pureeing fresh pumpkins. As most chefs will tell you, pure, canned pumpkin will have a better flavor than that fresh pumpkin patch gourd you picked yourself. Save that for the front porch! In a 4-qt saucepan, saute the onions in butter until transparent. Add all the other ingredients, except the cream. Bring to a simmer and cook, stirring occasionally, until the vegetables are very soft. Place in a blender and carefully puree until completely smooth. Pour back into the saucepan and add the cream. Bring back to a gentle simmer, turn off heat, and adjust the seasoning if necessary. Serve in warm bowls, and garnish with pumpkin seeds.